Posted February 8, 2018 by Sarah Pritchard & filed under Arts & Entertainment, CD Reviews, Music. Alice Ivy’s I’m Dreaming is a cornucopia of experimentation. The young artist’s debut album is filled with influences and iconic quotes, mixed through with new ideas each of them blended seamlessly into beautiful new life. Though led by one, the album is a group effort, bouncing from one strongly bonded collaboration to the next. Thoughtfully formed, each track centres around a theme, pulling focus instead of splitting it into infinity and insanity. There are beats and they are fun but they are not the almighty god of this album enslaving sense to their constant evolution. 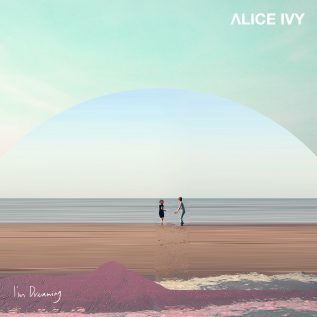 Alice Ivy’s debut is a creative triumph and an example of how not to lose heart when surrounded by too much choice, the album is the result of a discerning, musically trained mind. This album is a varied experience and a meaningful one.